Sometimes you just have to - you know what I mean: You've got to GET OUT THE GLITTER! I glittered up this frame (and kitty and me) and just had a ball. This frame is from Cricut (yes, I've switched to Cricut Explore). I cut three frames from heavy duty cardstock and glued them to each other before glittering. That makes a nice sturdy frame. I like things about the Cricut Explore and dislike things about the Cricut Explore. Same as with the Silhouette. They each have different issues. Too bad we can't combine the best of both!! 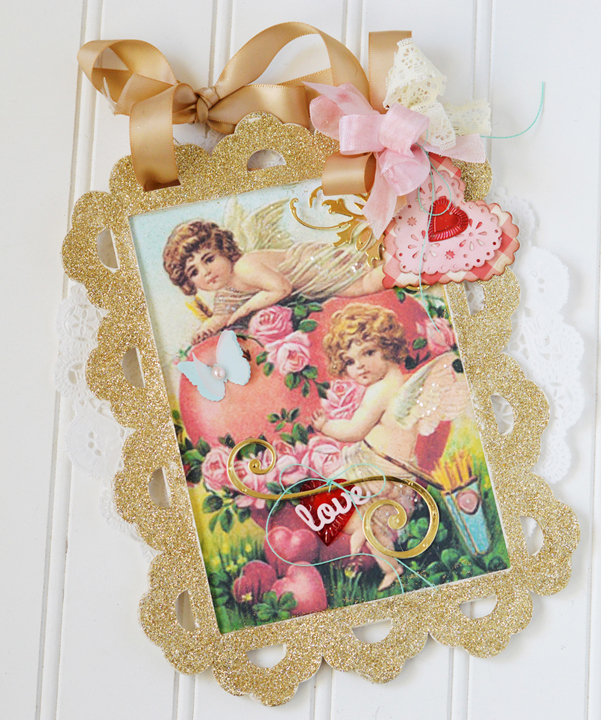 Love this gorgeous vintage Valentine image. You can download it HERE. Just right clickf and download. Beware - it might make you want to GLITTER! Wow! This has been a tough January. I've been super busy at work and am exhausted when I get home. Talk about affecting my mojo! Give me some advice - how do you wind down and get your mind off things like work so that your creative juices can flow? 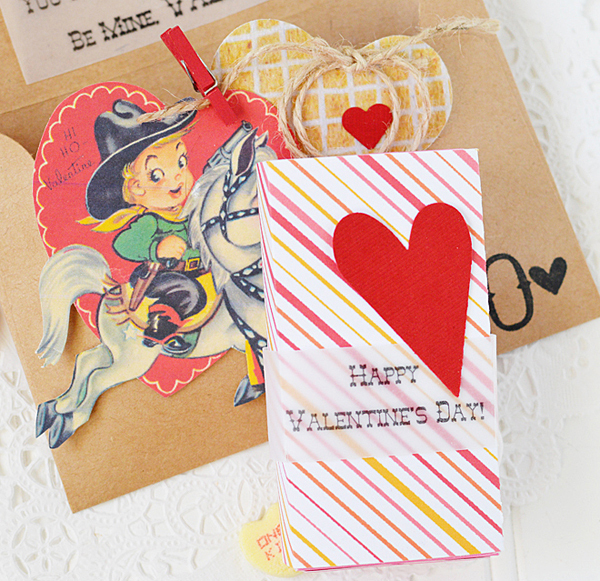 I've got a couple of sweet vintage valentine projects to share today. I wanted a couple of easy packaging options for a small box of conversation hearts. 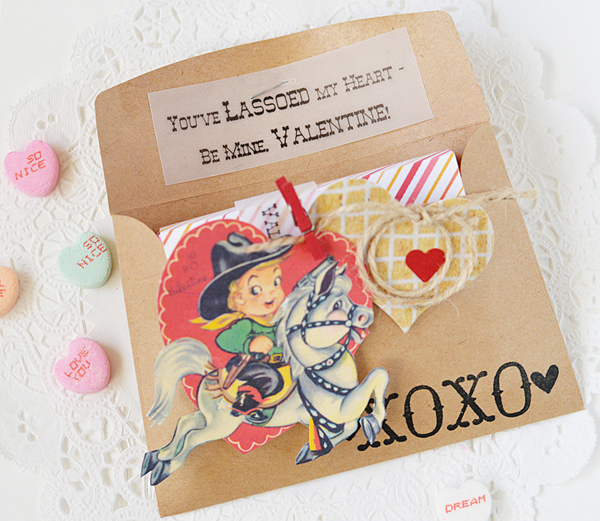 I think this Lone Ranger valentine would work for a boy. It's so cute! You can download the image HERE. I've cut some the bottom of the original image off, but left it on for you. 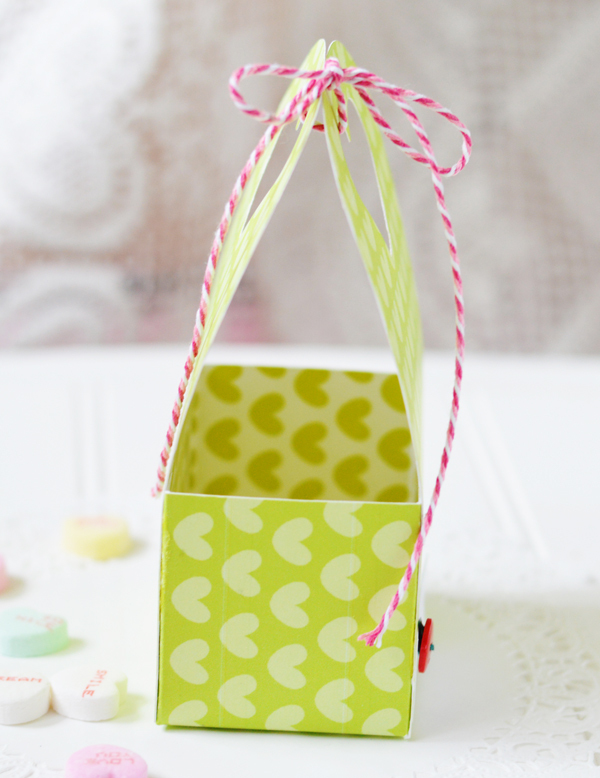 The conversation heart box fit perfectly inside a kraft envelope. However, the box is pink, which didn't fit my color scheme. So I decided a wrap was in order. I know - it has a little pink, too, but at least it's not the whole box! Sweet, right? 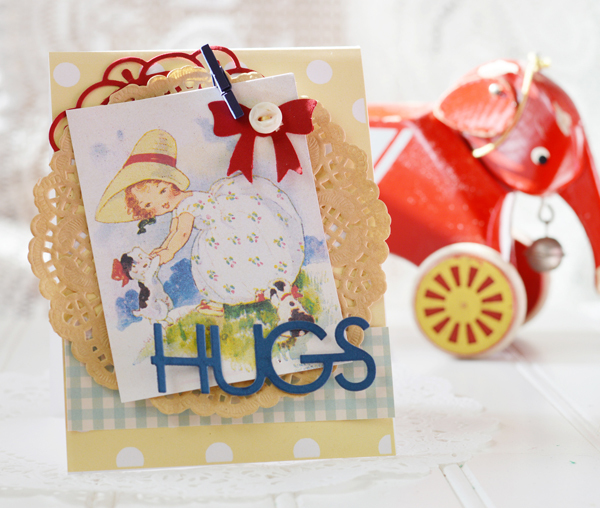 This puppy cutie is from Studio Shine Vintage. 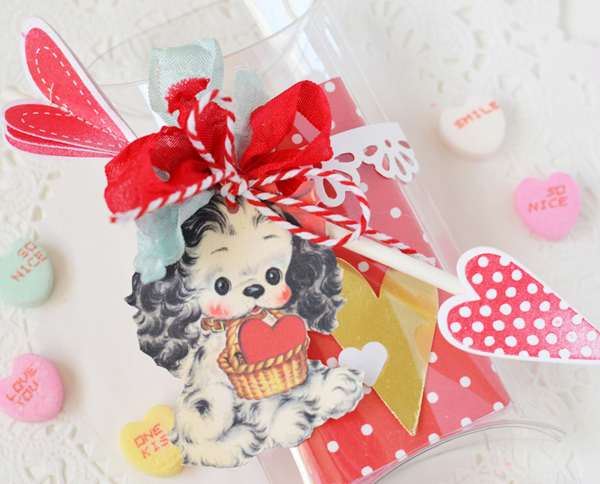 The conversation heart box also fit into some clear pillow boxes that I have. 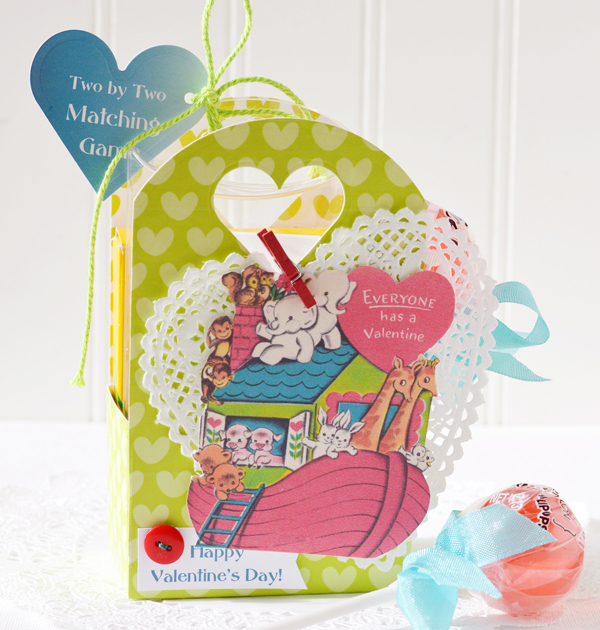 The arrow is made with a lollipop stick, stamps and dies from My Favorite Things. I hot glued the arrow point and feathers to the lollipop stick. 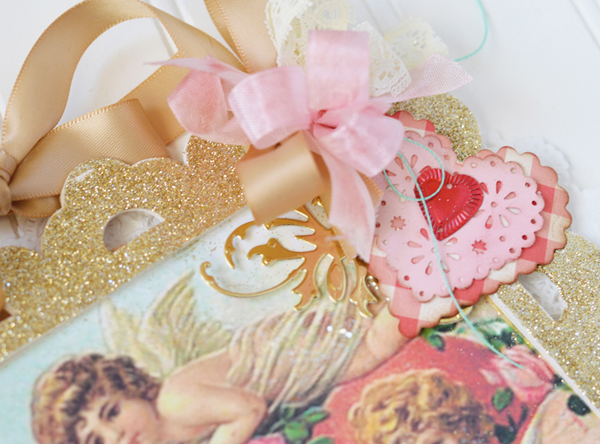 Hope you are having a lovely January (surely mine will slow down soon)! So happy you stopped by! 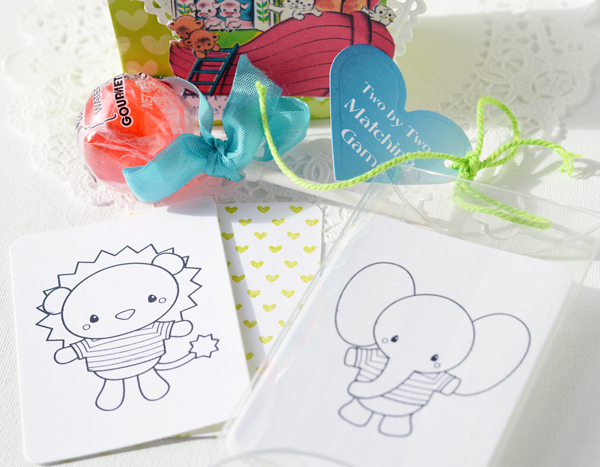 There are so many cute Noah's Ark things out there. Charlotte (my daughter's niece) has a cute stuffed one and a Little People Ark, too. One of my favorite books when I was little was Noah's Ark and I had a fabric one as a baby. When I opened the email from Keren with this darling Valentine, Kitty got scared! Why? Because I squealed like a little girl,of course! It just couldn't be any cuter. Keren (Free Pretty Things for You) and I are happy to bring this free image to you today. Of course, the animals are in pairs and I started thinking about Two by Two and came up with an animal matching game to go along with the Noah's Ark. I found the perfect animal stamps at Dorky Prints. There are 6 adorable little animals. 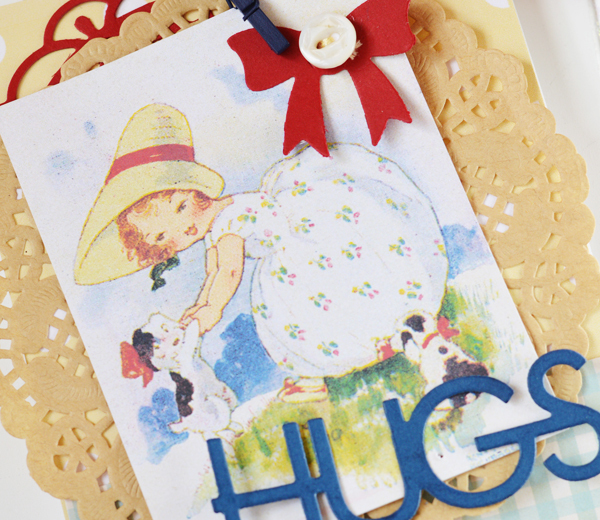 So easy to print and cut into cards. I printed them onto 110 lb. paper. I cut them into 2 1/2" x 3 1/2" rectangles and rounded the corners. 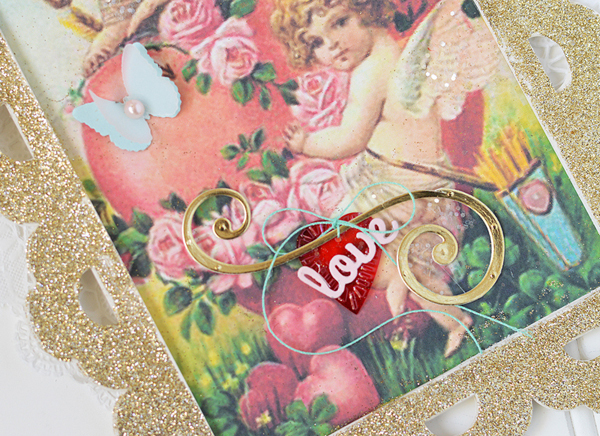 I also stamped a heart background stamp on the back. 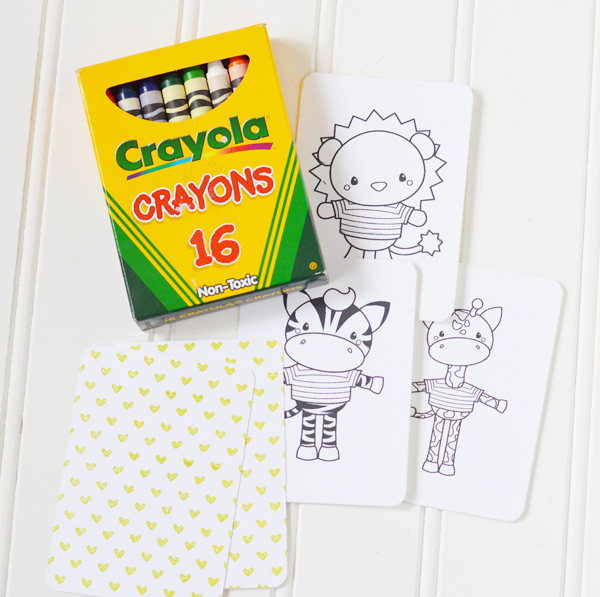 You could print a patterned paper on the back of the animals before you cut them out. You need two pieces of patterned paper. One sized 3 1/4 x 5 1/2 and one sized 7 1/4 x 8. This paper is from The Digi Rainbow. Score the larger piece of paper. 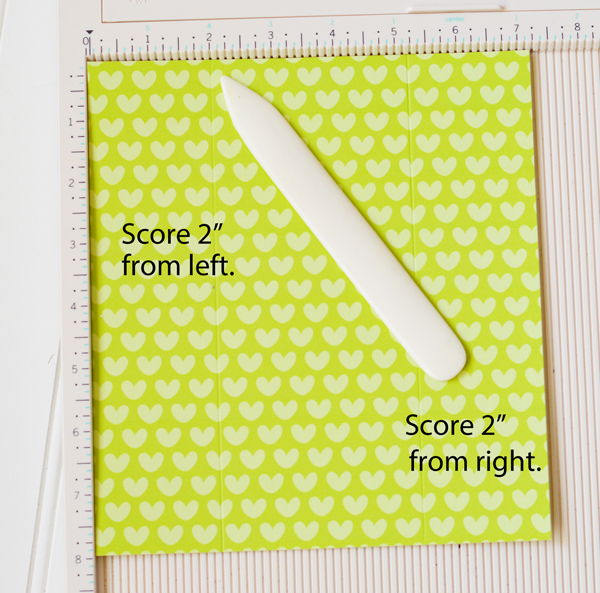 With the shorter side at the top, score two inches from the left and two inches from the right. With the longer side at the top, score at 5 1/2 inches and 7 1/2 inches. At 5" don't score all the way from the top to the bottom. 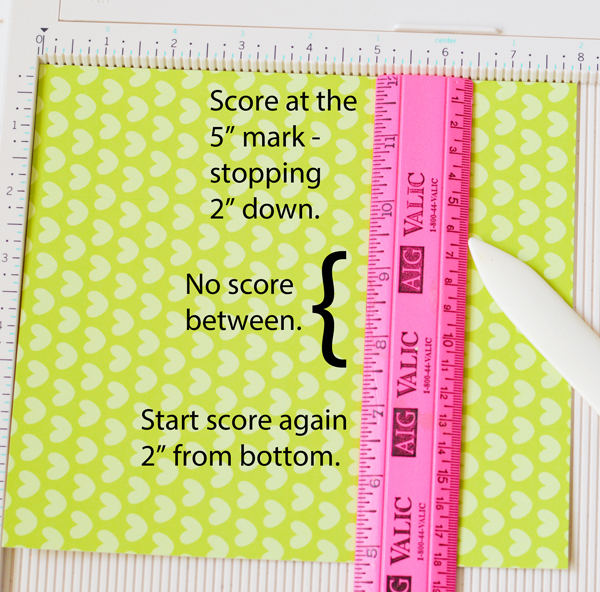 Make two separate scores, stop at two inches (you'll see your earlier score mark) and start again at your other score mark and score the remaining two inches. 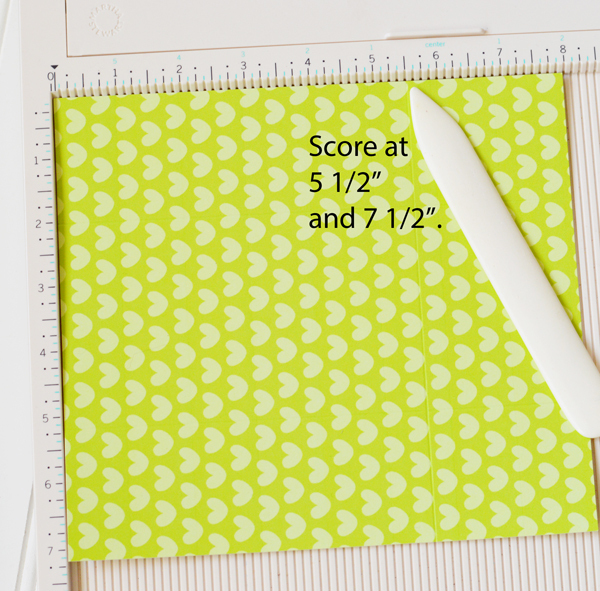 I use a ruler to ensure that I pick up the right scoring indention. 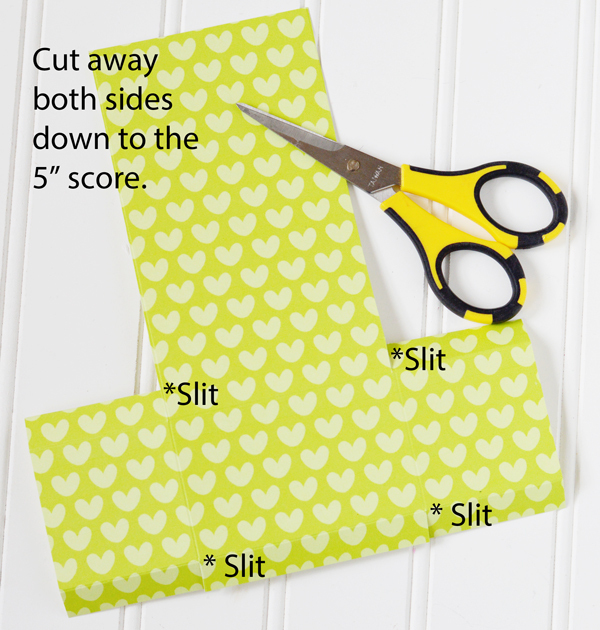 Now cut away both sides on the 2" score mark stopping at the first score mark. Also make the 4 slits shown above to create the tabs. Now the top needs to be rounded. 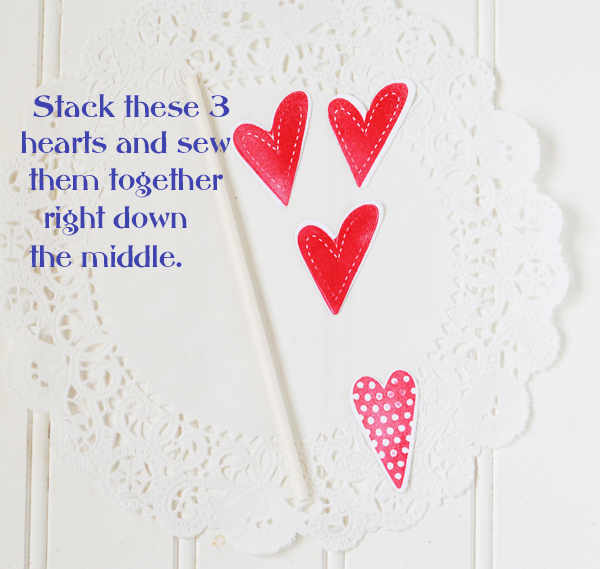 If you don't have a circle die or cutting machine, trace around a circular object and cut. 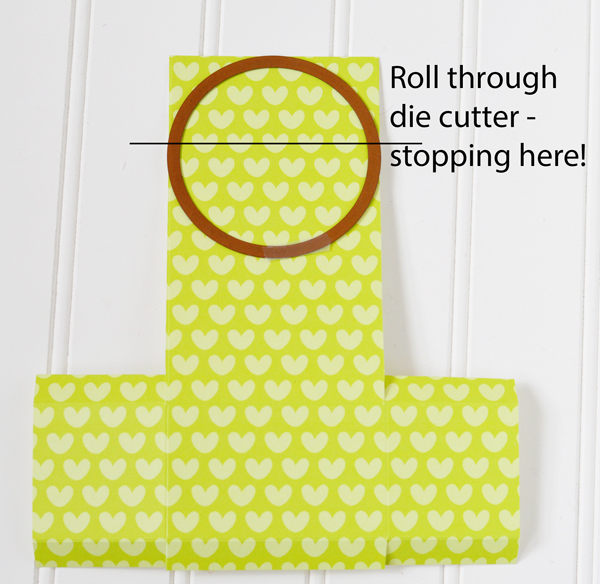 If you do have a die, place it at the top and roll it through your cutter, being sure to stop so that the entire circle isn't cut out! Repeat on the other piece of patterned paper. 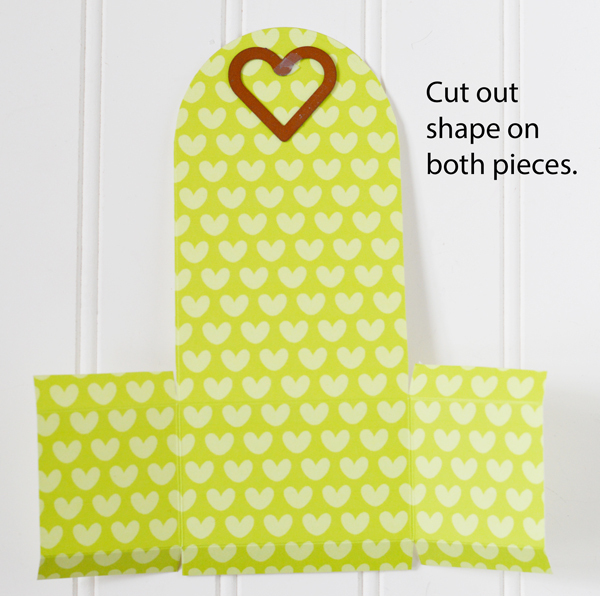 To create handles, you can cut or punch out a shape. Repeat on the smaller piece of patterned paper. Now fold on the score lines and glue to create the box. The smaller piece will glue right onto the back tabs. 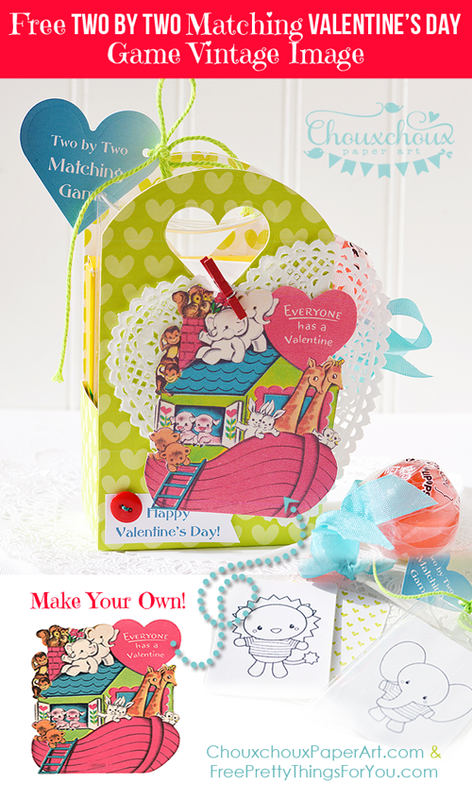 I think you'll find a lot of uses for this cute box! A couple of other fun ideas for this project would be to change it into a birthday present or use it for a Sunday School class. I think it would work well for both. 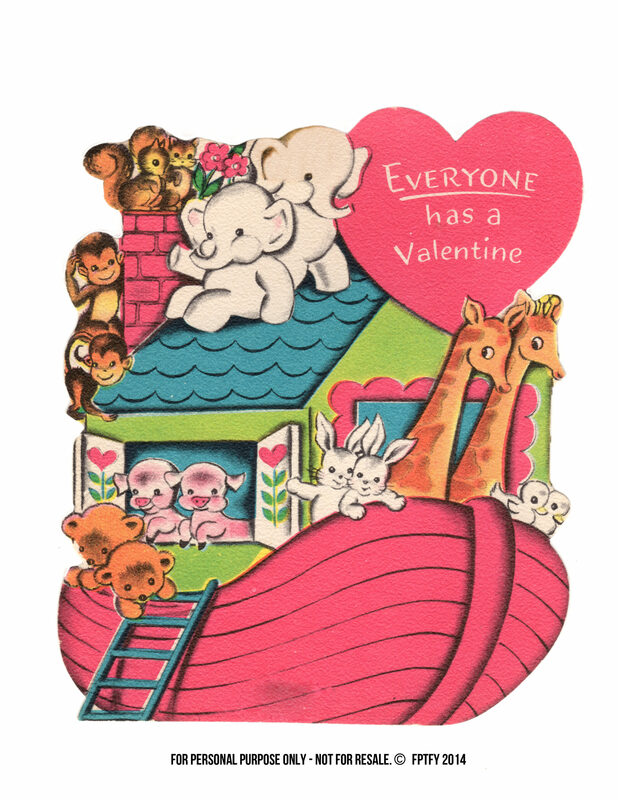 Download the Noah's Ark Valentine HERE. Be sure to visit Free Pretty Things for You to see all kinds of wonderful images free for you! I also have the Two by Two Matching Game tag available. It's printed in a blue square so that you can die cut it into any shape you want. Download it HERE. So glad you stopped by - have a wonderful week!